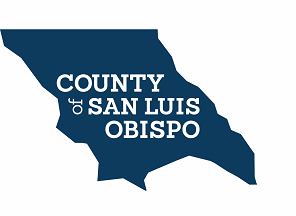 The County of San Luis Obispo Preventive Health Grant sponsors the professional coordination services required for a high functioning Promotores Collaborative. Center for Family Strengthening (CFS) provides leadership development and community outreach opportunities so Promotores can grow their capacity to connect Latino neighbors with community resources. We are so pleased to share the accomplishments of the Promotores Collaborative of San Luis Obispo County during the past year. Trained Promotores provided over 360 hours at food bank distribution sites around SL O County promoting self-sufficiency in meeting food needs. This project is in collaboration with the Food Bank Coalition of San Luis Obispo County through a USDA Community Food Project Grant. 29 Home Visits were conducted for families with special needs children by Promotores who serve as bilingual coaches/mentors trained to help families understand the multiple resources available. In 2017, the San Luis Obispo County Promotores Collaborative joined Parents Helping Parents to help families improve access to services provided by the Tri-County Regional Center. Certified Promotores Mental Health Interpreters served a total of 181 families receiving County Mental Health Services. The Latino Mental Health Enhancement Collaborative compliments the contract Promotores has with the County of San Luis Obispo BehavioralHealth Dept. through the Mental Health Services Act (MHSA). Latina Action Day in Sacramento. 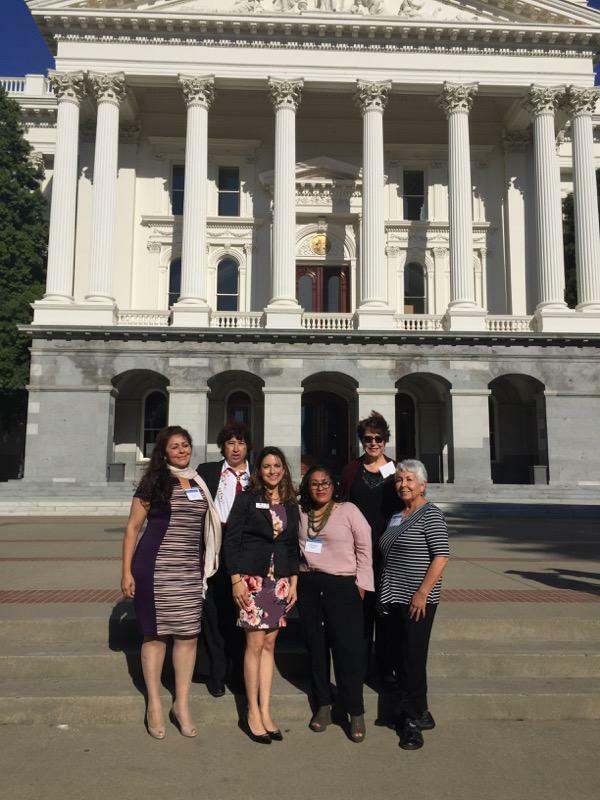 6 Promotoras attended this conference in May 2018 and learned about new public policy issues. This one-day conference is designed to facilitate dialogue between corporate and community Latina leaders and elected officials on public policy effecting the Latinos in California. Parent Leadership Convening. 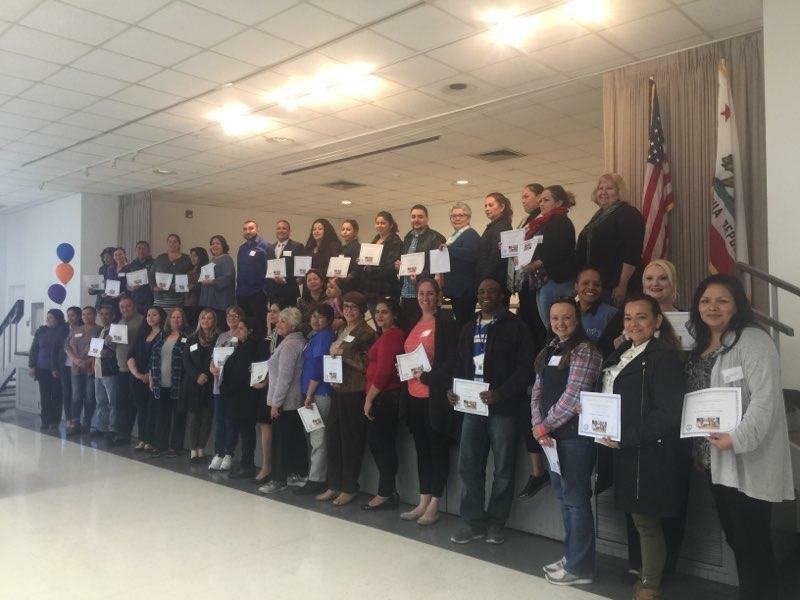 10 Promotores participated in this event recognizing Parent Leaders for their dedication to strong communities held in partnership with San Luis Obispo, Santa Barbara and Ventura Counties in February 2018. Center for Family Strengthening (CFS) and The LINK Family Resource Center now work closely together to provide enhanced community services and resources to improve life for overburdened families. This collaboration creates an integrated service system that is accessible and responsive to the needs of our SLO County Community. Both organizations utilize an evidence-based approach and programs that produce highly positive results. Lisa Fraser serves as the Executive Director of both organizations, making this integration of enhanced services possible and highly cost effective. Administrative and financial responsibilities are combined to be more effective while reducing the overhead of both organizations. Each organization continues to operate with its Board of Directors providing continuity of purpose. The LINK Family Resource Center is the first line of community-based response to children and their families in need as identified by our public schools. The LINK contracts with schools and the San Luis Obispo County Office of Education to provide trained Family Advocates. Through providing access to resources and helping navigate systems the Advocates ensure families get what they need to raise healthy, thriving children. Link Family Advocates understand the developmental needs of young people and the resources children need to succeed in school. The LINK Family Advocates access Center for Family Strengthening’s broad base of support programs, Parent Connection, Kidz Toolbox for Personal Safety,Promotores Collaborative of San Luis Obispo County, Dental Care for Kids, and Postpartum Depression Support Services to connect families to these effective resources. Staff from CFS and The LINK receive ongoing specialized training provided by Strategies 2.0, an initiative funded by the California Office of Child Abuse Prevention (OCAP). OCAP selected Center for Family Strengthening to facilitate the Southern California Learning Community. The LINK Family Advocates, CFS staff and many family serving professionals benefit from the Learning Community network that shares best practices, develops leadership capacity and enhances collaborative approaches for creating healthy families and communities. CFS and The Link share in the common core language of strengthening families and build protective factors that lead to family health and well-being. Both organizations practice a strengths-based approach, which reinforces parenting skills, increases knowledge of child development stages, and ultimately protects children from neglect and maltreatment behaviors. Meet Yesenia, a very smart but also very shy girl who graduated from high school at age sixteen. Pregnant at age nineteen, Yesenia was still very shy and had not yet acquired important life skills critical to becoming a good mom. The turning point for Yesenia to become a loving, successful mom would be her enrollment into the Nurse-Family Partnership (NFP) of San Luis Obispo County.The NFP is a national evidence-based nurse home visitation program that provides first-time moms and their families with emotional, practical support and mentoring throughout their pregnancy and until their baby reaches two years of age. The Center for Family Strengthening (CFS) is the Advisory Board to NFP. Community Health Centers (CHC) of San Luis Obispo County suggested that Yesenia enroll in the NFP program. Being less than seven months pregnant, Yesenia qualified for the program. 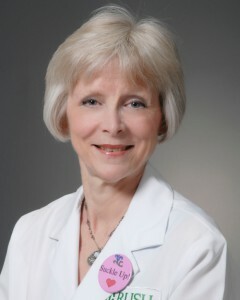 Nurse Nancy Goldsmith, PHN became her home visiting nurse. I sat in observation of Yesenia and Nancy during one of their home visits so I might learn more about the NFP program, what it meant to Yesenia and how it helped change her life in learning how to be a good mom. Yesenia suffered from depression before and after the birth of her son Noah. Noah had jaundice and respiratory distress at birth and needed to stay in the Sierra Vista Neonatal Intensive Care Unit (NICU) for one week before coming home. Yesenia was very fearful about bringing Noah home. Nancy had been working with Yesenia before Noah’s birth and was there during this difficult time to provide her the critical guidance and emotional support she needed. With Nancy’s help, Yesenia learned that Noah would quickly pick up what she is feeling and that it is so important to develop a healthy personal outlook herself to assure the well-being of her baby. Yesenia describes Nancy’s help during this time as simply amazing and is certain that her and Noah’s life would be very much different without the help of an NFP nurse. Yesenia said that Nancy changed everything for her. She wanted to be a good mom and believes Nancy helped her to learn what it takes to care for Noah as well for her family. 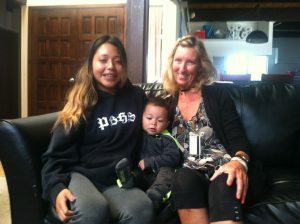 Nancy visited Yesenia bi-monthly, initially providing support during her pregnancy. After birth, Nancy provided guidance and introduced important life skills that created a healthy environment for mother and son. As Noah grew, Nancy taught Yesenia about childhood development and what to expect at different stages in Noah’s life as well as ways to encourage his development. The day I was there, Nancy was preparing Yesenia for Noah’s next stage, toilet training. Nancy explains that a child will let you know when he’s ready to learn to use the toilet and the most important thing you can do is to be patient, commit to the time it will take and be relaxed. All of this will help the child relax. A mom who is stressed during toilet training can delay the child’s success. To help prepare Noah for toilet training, Yesenia learned to change Noah’s diaper only in the bathroom; she taught Noah about what wet and dry feels like, and to put a potty-chair in the bathroom. As a result of this preparation, Yesenia learned that Noah wasn’t quite ready. She now knows what’s ahead and is committed to the process when Noah is ready. Through the NFP program, Yesenia has learned to communicate better with her partner; sharing her feelings with him and standing up for herself. As a result, her relationship with her partner has improved immensely. Both her partner and Yesenia agreed to avoid having arguments in front of their son. Her partner is more supportive of Yesenia’s independence. Yesenia is now setting and achieving personal goals. She has started college and is taking classes in childhood development. 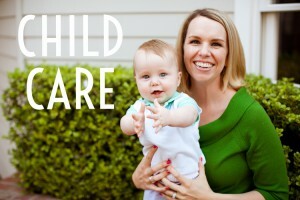 She is devoted to creating a healthy, happy and safe environment for Noah and her family. Yesenia’s loving and confident care for Noah was overwhelmingly apparent during the visit. Even as Yesenia is conversing with those present, she is attentive to what Noah is doing and anticipates what he might get into that would cause him harm. She is patient with him, consistently shows him love, teaches him as they play together, and is constantly talking to and guiding him. Yesenia fills Noah’s day with outside walks, playtime and loving conversation and care. She is a confident, wonderful mother and has set her sights on having a healthy and thriving lifestyle for herself and her baby. All of this joy and high expectations by Yesenia for herself, Noah and her family was encouraged and supported by Nancy Goldsmith and Nurse-Family Partnerships. The Nurse-Family Partnership Program in San Luis Obispo County has demonstrated phenomenal results. Positive outcomes for the moms are higher than in other health managed programs. Ninety-percent of the women who start the program complete the entire program. Seventeen-percent of the women in the program without a high school diploma or GED returned to school by 12 months postpartum. Seventy-seven percent of clients are working within 24 months. The NFP is making possible positive outcomes for the babies that are phenomenal: 92.4-percent of the babies reach full term, 93.1-percent are born at a healthy weight, and 96.7-percent of the babies receive breast milk. The County of San Luis Obispo offers two programs that provide families with nurse visits to improve child and family health. Early Support helps at-risk families such as teen parents, or those in need of parenting guidance, and those affected by abuse, homelessness, mother/baby exposure to tobacco, alcohol or other drugs and children with medical needs. Nurse-Family Partnerships helps low-income, first-time moms who are less than seven months (28 weeks) pregnant by providing mentoring, emotional and practical support throughout their pregnancy and after birth until babies reach two years of age. Center for Family Strengthening is the Community Advisory Board to NFP. Cherie M. Fields RN, BSN, PHN is the Field Nursing Program Manager for both programs and can be reached at (805) 788-2063. In 1988 the San Luis Obispo County Board of Supervisors designated Center for Family Strengthening as the self-governing entity responsible for local efforts to prevent and respond to child abuse and neglect. Center for Family Strengthening is dedicated to strengthening families through education and advocacy. Center for Family Strengthening partners with family support organizations in SLO County to provide resources to families in need, to protect children from abuse and neglect, and to ensure that strong families are a community priority. To donate or learn more about Center for Family Strengthening visit the website or call (805) 543-6216. The Nurse-Family Partnership of San Luis Obispo County (NFP), is a tremendously successful maternal and childhood health programs for low-income first-time mothers. As a national evidence-based program, it provides first-time moms with mentoring, emotional and practical support throughout their pregnancy and until their babies reach two years of age. The Center for Family Strengthening is the community advisory board to NFP. The program has a big reason to celebrate, thanks to five dedicated and compassionate nurses: Melissa Lovett-Adair, Jamie Peterson, Nancy Goldsmith, Nakia Wheeler and Carol Martin (the supervisor). Each has a Bachelor of Science in Nursing and has earned a Certificate in Public Health. Public health training includes a myriad of tools: medical care, social work, parenting skills, coping skills, confidence-building, safety, family dynamics, and career and dietary training. Some nurses have also earned a Master’s Degree in Nursing, Public Health or other related fields like Psychology or Sociology. All have also spent several years in a hospital working with patients. The nurses become “true life coaches” and a consistent force in the lives of the mothers. They draw from their highly technical training as well as their life challenges including motherhood, facing adversity and building resilience in their own lives. They win their client’s trust by being non-judgmental, showing warmth and compassion, and being forthright and honest. Since the nurses don’t know what to expect when they first enter a home, each must assess the situation and use the palette of all their training and education as well as their life experience to help these new mothers. First-time mothers are referred to the program through WIC (Women, Infants, and Children), their doctor, obstetricians, pediatricians, hospitals, community clinics, or they can directly contact the Nurse-Family Partnership of San Luis Obispo County (NFP). The only program requirements are low-income and first pregnancy before 28 weeks. The nurses each work with a caseload of 25 Moms, scheduling in-home consultations either weekly or bi-weekly based on the needs of the mother. Consultations are customized to achieve the goal of maintaining a healthy pregnancy and also achieving the mother’s aspirations and goals for her baby and their future life. Most of the mothers coming into the program range in age from 14–40. Some have other risk factors including intimate partner violence or substance abuse. Some have low self-esteem and lack parenting skills and knowledge of child development. A few may be homeless. Some have bachelor’s degrees while others are still in high school. No one characteristic defines them or applies to all. What is amazing is that these mothers can sense and grasp that they are at a point in life where with the guidance of their nurse, they can truly build a much better life. Nearly 96% succeed in bringing a healthy baby and better life into our community. All progress to goals is acknowledged and celebrated. For example, with Peterson’s help, one 19-year-old mother burdened with low self-esteem and dependent on a controlling partner, managed to rethink her choices and leave her partner. The mother researched opening her own business and today has her own taco restaurant. Another mother, who achieved an engineering degree in Mexico, came to the United States with her husband and could not find work. She did not speak English. She has the determination to support her family and created income by cooking for migrant farm workers. Positive outcomes are higher than in other health managed programs. Ninety percent of the women who start the program complete the entire program. Seventeen percent of the women in the program without a high school diploma or GED returned to school by 12 months postpartum. Seventy-seven percent of clients are working at 24 months. Positive outcomes for the babies are phenomenal: 92.4 percent of the babies reach full term, 93.1 percent are born at a healthy weight, and 96.7 percent of the babies receive breast milk. Each nurse in the program has a unique view about the benefits of the program. Goldsmith believes having a child is an amazing gift and it is an incredible blessing to have the opportunity as a parent to guide, encourage and love your child. Guidance from an NFP nurse provides a valuable opportunity to change negative behaviors and break cycles. It gives parents positive alternatives for encouraging and promoting their child’s physical, mental and emotional well-being. Goldsmith supports and recognizes the value of preventative health care and also emphasizes that self-care is a very vital and important aspect of parenting. She sees the work as an NFP home visitor as a very challenging, comprehensive and rewarding aspect of nursing. She is very touched to hear from and see clients that have graduated from the program who are thriving and accomplishing much. Peterson and Wheeler agree that the career is both challenging and extremely rewarding. They are thrilled to see their clients make progress. Martin adds that the nurses give mothers hope that they can succeed and always looks for something positive in mothers’ interactions with their babies. Martin provides positive feedback and encourages them to talk and play with their baby as much possible. Martin is delighted when she runs into her clients years later and finds that mothers and children are doing so well. All the NFP nurses agree it would be wonderful to have this program for all first-time mothers. NFP nurses are truly hero-nurses for SLO county first-time mothers. San Luis Obispo County is currently hiring nurses for other departments. For more information about NFP visit the program website. Noted Child and Family Therapist, Ron Huxley, LMFT Speaks at Parent Connection Symposium on September 22, 2017. Ron Huxley, noted child and family therapist, speaker and blogger, provides expert insight on the impact of trauma on caregiver/ child relationships as guest lecturer for Center for Family Strengthening Parent Connection Symposium. Parent Connection has partnered with San Luis Coastal Unified Adult School District to provide all Parent Support Professionals a one-day symposium on September 22, 2017, from 9 a.m. through 4 p.m. All Parent Support Professionals are urged to attend. Registration is $55.00 for the one-day session or $85.00 with CEU Certificate with five continuing education contact hours, approved by the National Association of Social Workers (Approval # 886759765-8295). Morning coffee and lunch are included. The symposium will be held at the San Luis Coastal Adult School, Room J2, 1500 Lizzie Street, San Luis Obispo. Register at www.sloparents.org. The symposium provides an in depth view of the challenges present in generational patterns of parenting. Huxley will discuss building healthy communications, modeling characteristics of self-aware adults and provide concrete tools and strategies to build confidence to restore hope for parents/caregivers. Parent Connection is made possible with funds provided by the Mental Health Services Act (Prevention and Early Intervention) and by the Center for Family Strengthening, a non-profit community organization. To learn more go to http://sloparents.org. In 1988 the San Luis Obispo County Board of Supervisors designated Center for Family Strengthening as the self-governing entity responsible for local efforts to prevent and respond to child abuse and neglect. Center for Family Strengthening is dedicated to strengthening families through education and advocacy. Center for Family Strengthening partners with family support organizations in SLO County to provide resources to families in need, to protect children from abuse and neglect, and to ensure that strong families are a community priority. To donate or learn more about Center for Family Strengthening go to www.cfsslo.org or call 805 543-6216. Ron Huxley is a dynamic and innovative educator. He travels internationally training parents and professionals on how to find more freedom and joy in their lives. He is a Licensed Marriage and Family Therapist, in private practice, on the Central Coast of California, the USA with almost three decades of experience. Ron blogs on trauma-informed care and inner healing at RonHuxley.com and he is the author of the book “Love and Limits: Achieving a Balance in Parenting,” 101 Parenting Tools: Building the Family of Your Dreams” and the Ebook “Living Abundantly.” He has appeared on numerous radio and television shows as an expert in the field of mental health and trauma-informed care. Promotores Collaborative – Neighbors Helping Neighbors. 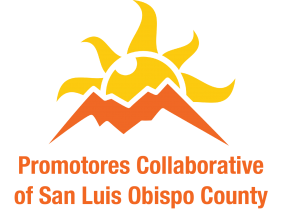 “Promotores Collaborative” may just have our Latino Community on a faster track of assimilation into our San Luis Obispo community. Latinos in our community continue to face tremendous challenges: language, cultural and educational barriers, access to good paying jobs and now, the constant fear of deportation. “Promotores Collaborative,” of San Luis Obispo County is an emerging prevention and health education model that works for the Latino community with neighbor-to-neighbor outreach activities. This promising and novel program, introduced by Center for Family Strengthening, is rapidly changing our Spanish-speaking Community to achieve greater and greater success. Organized and trained volunteer Latinos within the neighborhood are providing a path for other Latinos in the neighborhood to thrive. Center for Family Strengthening, a nonprofit organization, is “centered home” for Promotores Collaborative recruiting and training Promotores volunteers to reach into the Latino neighborhoods. They recruit, organize and train networks of Spanish-speaking volunteers who introduce Latinos to highly beneficial services to build healthy communities. Through Promotores, the Latino Community, neighborhood by neighborhood, is learning essential life skills. Promotores provides Latinos access to healthy foods, nutritional education, emotional support, access to mental health resources such as substance abuse and domestic violence programs, medical and dental care access, and programs tailored to child development, effective parenting and education. Overcoming food shortage or food insecurity is a major obstacle for many families living in poverty in the Latino Community. Rosa drives 45 miles per day to access the proper nutrition to feed her family. The gasoline costs for this 45-mile drive places a major burden on Rosa’s meager household income. Promotores Collaborative has launched a major initiative with the San Luis Obispo Food Bank to bring healthy, fresh food to Latinos. Now Rosa can get fresh vegetables and produce from a local distribution center close to her home. Promotores advocates have educated Rosa about proper food preparation and have helped her understand and value the importance of proper nutrition for her and her children. Rosa’s kids delight in eating fresh fruit and vegetables. Promotores and the San Luis Obispo Food Bank make culturally-appropriate food and nutritional education available for women like Rosa. Promotores Collaborative helped organize the Oceano Support Group made up of Latino mothers to foster emotional and mental health support in their families. Mothers come together to discuss topics that meet their immediate needs. Mothers share their concerns regarding relationships, communications with their children, discipline, depression, anxiety, chronic diseases, and health concerns. Attending moms may be referred to other agencies when there’s a need for special assistance. Maria suffered from an abusive husband. Through the help of the Oceano Support Group, Maria learned that she and her three children were victims of domestic abuse. Promotores referred Maria to the Women’s Shelter where she received the help she needed to live independently and to support and nurture her children. With the emotional support of the Promotores and her peers, Maria took action needed to end the domestic violence. Through Promotores, sponsored groups like the Oceano Support Group Moms rediscover themselves, learn their value, improve their self-esteem and enhance their well-being all of which impact families in a positive way. Yolanda’s 15-year-old daughter seemed very depressed. Her grades in school were suffering, and she lost interest in her friends. One of the Promotores suggested Yolanda take her daughter to a counselor at a local mental health clinic. Yolanda felt extremely uncomfortable going to the clinic. She did not speak English well and felt the stigma attached to mental health problems. The Promotores Volunteer accompanied Yolanda and her daughter to the clinic. (Select Promotores volunteers have been specifically trained to translate and explain mental health conditions to the Spanish-speaking community.) The Promotores worked with Yolanda, calming her fears and giving her a better understanding of how to help her daughter through the guidance of the Counselor at the clinic. Promotores Volunteers work with mothers and fathers who are struggling with the challenges of parenthood. When appropriate they refer them to Center for Family Strengthening’s Parent Connection for a one-on-one Spanish-speaking parent coach. The parent coach encourages assimilation and giving back to the community. The Parent Coach may emphasize the need to speak English as a way to understand and respect the culture of the United States. Speaking English is also a primary tool for effective parenting. Without English, many parents fail to understand the world their children inhabit. Ana, a client, sought out parent coaching at a time when she barely spoke English. With support and encouragement, she enrolled in an ESL class. Now, just a few years later, Ana can work, pay her taxes and has successfully enrolled in John Hancock College. Her ambition is to work as a paralegal. The Promotores Collaborative approach is effective and is helping the Latino Community assimilate into the Amercian culture. Promotores are sensitive to their neighbor’s’ struggles and challenges because they themselves have overcome similar experiences. Their neighbors trust them. The volunteers are well-trained in listening and empowering their neighbors with a path to access services and resources of SLO County. The volunteers immerse themselves in engaging the Latino community with a positive can-do spirit that is infectious and transforms people’s lives. Promotores bring a voice and the path to positive, healthy change and assimilation into the larger San Luis Obispo community. Erica Ruvalcaba-Heredia, Coordinator, Promotores Collaborative and Ximena Ames, Parent Coach, Parent Connection, contributed to this article. About Center for Family Strengthening (formerly SLO-CAP): In 1988 the San Luis Obispo County Board of Supervisors designated Center for Family Strengthening (CFS) as the self-governing entity responsible for local efforts to prevent and respond to child abuse and neglect. Center for Family Strengthening is dedicated to strengthening families through education and advocacy. Center for Family Strengthening partners with family support organizations in SLO County to provide resources to families in need, protect children from abuse and neglect, and ensure that strong families are a community priority. To donate or learn more about Center for Family Strengthening go to www.cfsslo.org or call 805 543-6216. To become a Promotores Volunteer call Erica Ruvalcaba-Heredia at 805 720-6091.